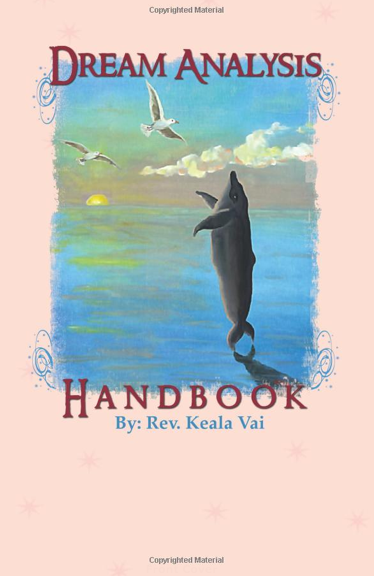 As I am new to dream interpretation, “Dream Analysis” by Keala Vai was so helpful for me in understanding what my subconscious was telling me in recent, vivid dreams. What I learned by reading Vai’s book has progressively helped me remove “programs” that weren’t serving me, by making me aware of them through the messages of my dreams. Vai gives a very detailed explanation of the language of dreams, e.g., water represents the subconscious, and even the color of dreams (it’s very exciting to interpret your dreams according to the colors of the chakras). For example, a rainbow or multi-colored aspect in your dream suggests the last phase of enlightenment or a completion in the integration of self at that time, according to Vai. She then takes the reader through the four parts of dreams – the Exposition or setting of the dream, the Action, the Conflict, and the Lysis or conclusion of the dream, a report on where you are in your unconscious. The author completes the book with many interesting examples of dreams and their interpretations, showing how a dream can be a reflection of what is happening in your unconscious mind. Once you learn the language of dreams, you’ll be better able to notice the need for change, find solutions to your problems, and release old baggage from the past. For those on a path to knowing themselves better, this book is an invaluable guide.